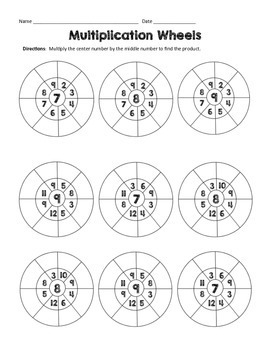 This is a fun way for students to practice their multiplication facts. 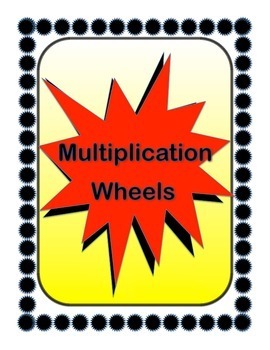 Multiplication wheels help students improve their fact fluency. The first pages begin with facts 1,2, & 3, and then progressively get more difficult. Pages include random numbers to find the product. Two pages give a factor with a product and students find the missing factor. The last 2 pages are blank to create your own. 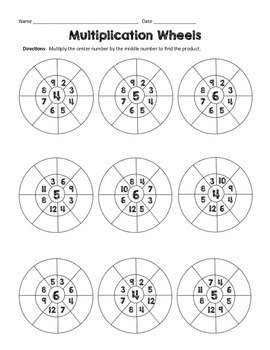 Great for differentiation as 2 pages allow you to choose the middle factor. 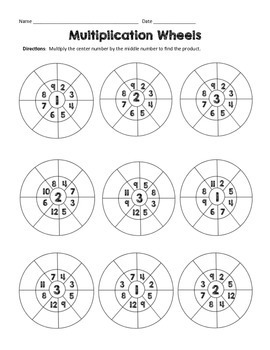 Also contains factors such as multiples of 10, 15, 25, 50 in order to develop number sense. My students love these. There are many ways to use them. Have FUN!